DIMINISH THE LINES. KEEP THE EXPERIENCES THAT MADE THEM. 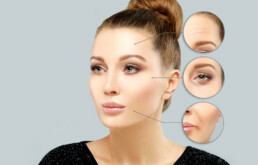 BOTOX Cosmetic provides a quick and effective remedy for the facial lines and wrinkles that age, stress, worry, and environmental factors can produce, even on a younger person’s face. A BOTOX® injection skin treatment smoothes frown lines on the forehead, between the eyes, and at the base of the nose. With BOTOX® Cosmetic, derived from botulinum toxin, “crow’s feet” wrinkles at the corners of the eyes fade or disappear for a more youthful and vital facial appearance. It is an injectable agent used to temporarily diminish or eliminate lines and wrinkles on the face by relaxing underlying facial muscles. It is derived from botulinum toxin type A, a bacterium-produced neuromuscular toxin that can be deadly in a pure state. BOTOX® Cosmetic contains a highly diluted form of the toxin and has been proven safe. For this reason, the U.S. Food and Drug Administration has approved BOTOX® botulinum toxin treatment for alleviating eye-muscle disorders and smoothing frown lines. This exceptional treatment is often used in conjunction with facial plastic surgery procedures such as a face lift or eyelid lift to maximize its cosmetic benefit. 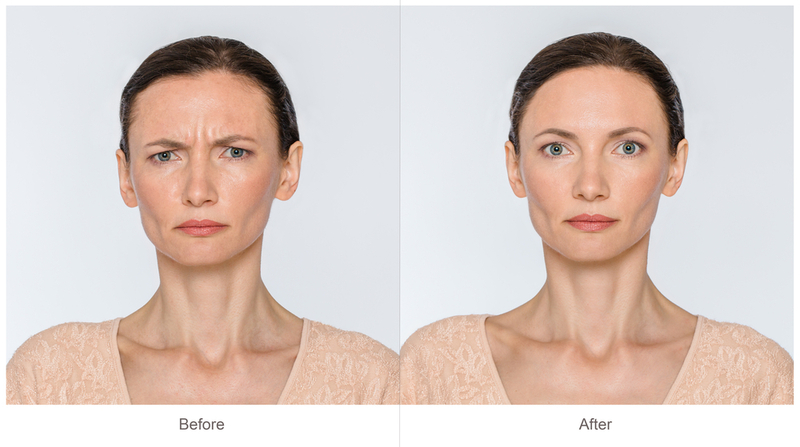 Because BOTOX® Cosmetic involves only a few small injections during a 10-minute session, a very large number of people seeking the treatment find they are excellent candidates. While BOTOX® Cosmetic is FDA-approved for patients aged 18 to 65, the best way to find out if it is right for you is to speak with a physician who offers the treatment. BOTOX Cosmetic has been proven safe for a wide range of candidates. While there are many medical uses for the protein that makes up BOTOX® Cosmetic, the reduction of fine lines and wrinkles is far and away the most common application. Anyone who would like to smooth wrinkles through BOTOX® Cosmetic – whether they be crow’s feet around the eyes or wrinkles around the mouth – is potentially a candidate for this effective treatment. The best way to find out if BOTOX® Cosmetic is right for you is to speak with a physician. and evidenced-based medicine in a personalized and compassionate environment. 7:30 A.M. – 4:oo P.M.